Let’s Have a Super Fly and Fab Summer, Homies! It’s Summertime! 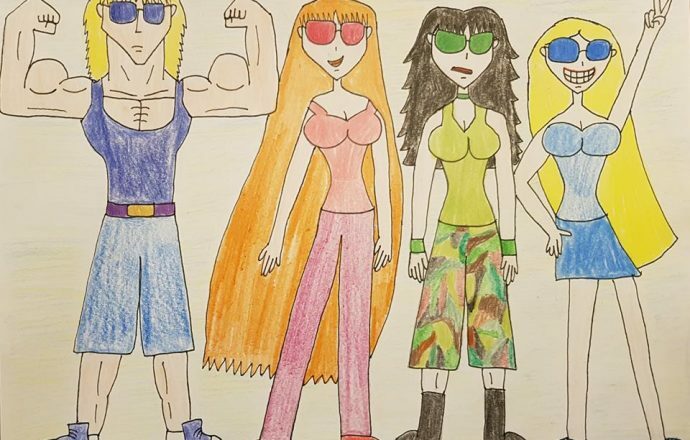 And for Boomer, Blossom, Buttercup, and Bubbles, aka The Fearlessly Fabulous Four, it’s the time where they have to look totally fly complete with shades, for the temperature has been rising in good, old Townsville, USA. I definitely enjoyed drawing this, as I was able to color their respective sunglasses and attire and the results were extremely pleasing. Boomer has definitely brought out his inner Muscles Glasses from Epic Meal Time. From the stoic expression to his awesome built he certainly makes the cut. Personality-wise, he’s more of a Tyler. Makes me wonder what Townsville’s version of Epic Meal Time looks like in terms of the cast. Obviously Brick fits Harley the most, Butch would be akin to Muscles Glasses, Boomer might be Tyler, and maybe other guys like Mitch Mitchelson and Mike Believe would be brought in to complete the roster. Let me know in the comments what your ideal Epic Meal Time Townsville Edition cast would look like. Blossom looks absolutely gorgeous. I am so happy I was able to get her stylishness down to a T and those rose-tinted glasses are a perfect fit. Buttercup admittedly acts more like Muscles Glasses in this picture given her equally stoic expression and the camouflage pants are a great fit for someone who is Team Xtreme’s toughest fighter. Finally, there’s Bubbles. I cannot tell you how much effort I had to put in order to get the peace sign down to T, but for what I accomplished I am rather proud of myself. So, there you have it. 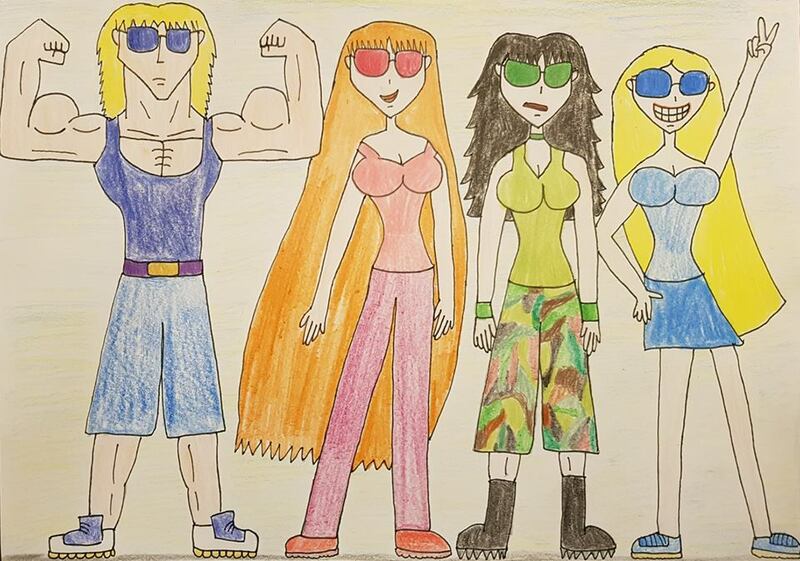 Four fabulous comrades consisting of Boomer the lovable, buff gentle giant, Blossom the genius bruiser, Buttercup the feisty bruiser, and Bubbles the kickass Genki girl all enjoying their summer. What are you waiting for? Grab your shades and bask in that summer glory. Boomer, Blossom, Buttercup, and Bubbles from The Powerpuff Girls belong to Craig McCracken.